Mr Andrews' rise and recline chair has helped him to sit and stand with ease again. 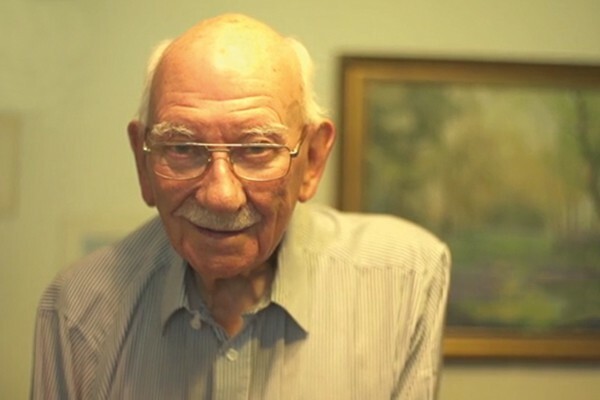 Mr Andrews is ninety-three years old. He lives a homely and comfortable life with his wife. Thirteen years ago, Mr Andrews had a successful hip replacement. However, with increasing age, he started experiencing problems with his knees and began to find it more and more difficult to get up from his chair. Mr Andrews saw an Oak Tree Mobility TV advert that featured our rise and recline chairs, and he contacted us the very same day. Mr Andrews was very impressed with the friendliness of our staff, who guided him through the journey of purchasing a rise and recline chair. Mr Andrews was also pleased that he never felt any pressure to buy; he simply received the information he needed about the furniture he was interested in. We scheduled Mr Andrews an appointment with one of our Oak Tree Mobility chair specialists. He visited Mr Andrews at home and talked him through all the features of the chair. 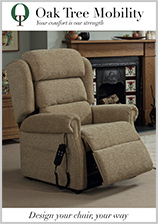 At Oak Tree Mobility, we can demonstrate a rise and recline chair to you in the comfort of your own home. Furthermore, you can choose from our wide selection of luxury fabrics to ensure that your chair fits with your interior. An Oak Tree Mobility rise and recline chair will help you sit and stand with ease, allowing you to relax in comfort once again. 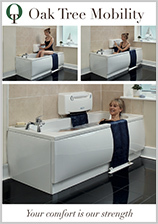 Over the years, we have helped thousands of customers who were struggling to get into and out of their chairs. Every Oak Tree rise and recline chair is unique and made to fit right here in the UK, providing the highest level of quality and comfort. Back to Mr Andrews, who decided on an Oak Tree rise and recline chair from our Oak Collection. We made sure that all his measurements were taken on the day of the appointment with our specialist, so when he was ready to make his decision, we could begin making his chair right away. A few weeks later, Mr Andrews’ new chair arrived and he couldn’t have been more pleased. Mr Andrews points out the furniture fits his body perfectly, thanks to it being made to fit. And when he feels like having a nap, he simply adjusts the chair to the unique leg lift position and he can sleep comfortably for a couple of hours. 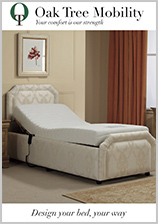 We are so pleased we were able to help Mr Andrews enjoy greater comfort at home.